Succulents are my new favourite plant in the world. I grew up surrounded by them – and hated them – and then developed a huge love of them after taking part in an amazing floral workshop. Obviously then, succulents would become a completely rare and black market item in Hampshire and could I find one any? Nope. 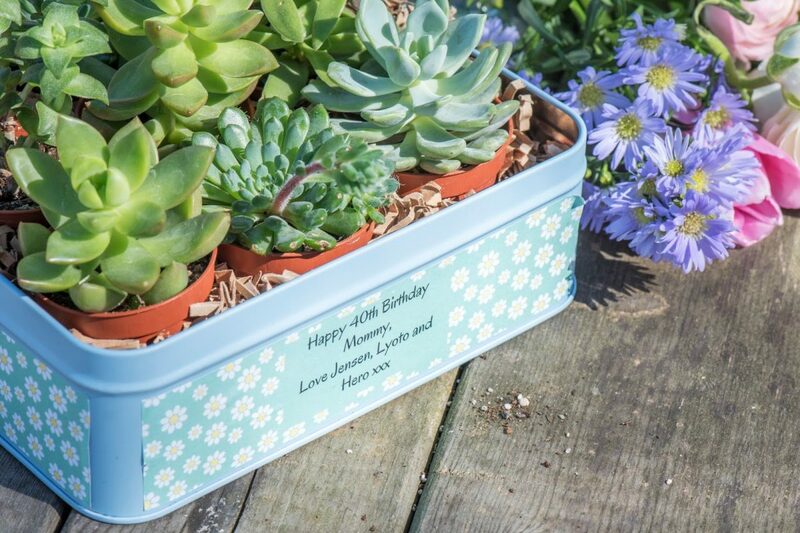 I’m sat here in the Spring sunshine with a tin of nine perfect little plants because unbeknownst to me, my little boys had teamed up with Flowercard to surprise me for my birthday. Instead of flowers [although they have many beautiful flowers on the site] I was gifted nine perfect little succulent plants in a biscuit tin, and they are gorgeous! I had no idea you could send these in the post, and I just love them. I can’t imagine a sweeter gift from my boys – who thought that the Flowercard people were very lovely indeed, especially as they even printed my boys’ names on the tin. One month on, and my succulents are growing very well, but still in their little pots. 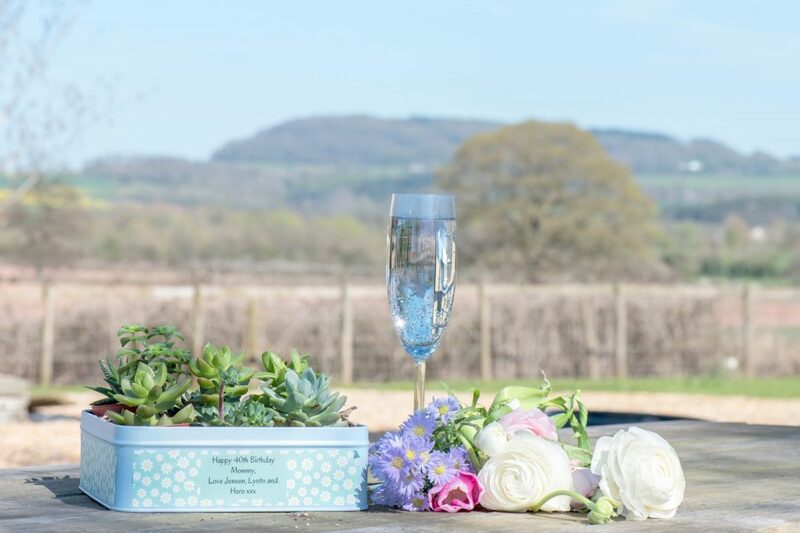 Now I’m caught between planting them in little teacups or a white terrarium I have – clicking around Pinterest for half an hour has done nothing to help my decision making – but I do have lots of little ideas for succulent gifts now! This is a collaboration with Flowercard, thanks to my boys.